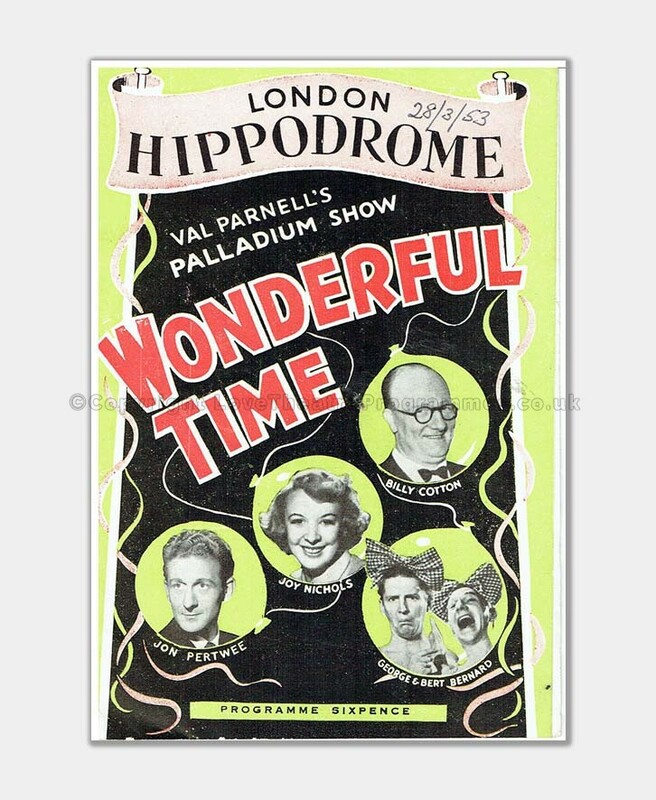 This jolly programme presents the variety performance of Val Parnell’s Palladium Show, Wonderful Time, starring Billy Cotton, Jon Pertwee, George & Bert Bernard, Joy Nichols at the London Hippodrome. 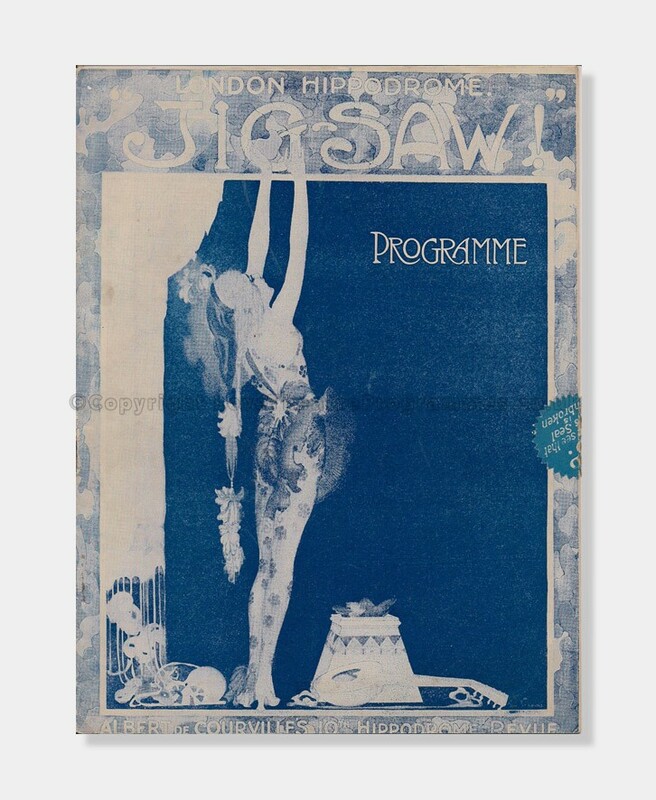 The programme has interesting advertisements with some illustrations including ‘The Hay-Wain Restaurant and Cocktail Bar’ with a lovely detailed illustration of the restaurant interior. 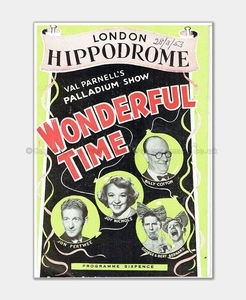 The front cover page has small black and white photographs of the stars of the performance who were popular performers of the time; Jon Pertwee, Billy Cotton, George & Bert Bernard, Joy Nichols. Jon Pertwee was born ‘John Devon Roland Pertwee in 1919, he was a popular English actor and entertainer, especially well-known as the third ‘Doctor’ (1970-1974) in the popular English television series Doctor Who. 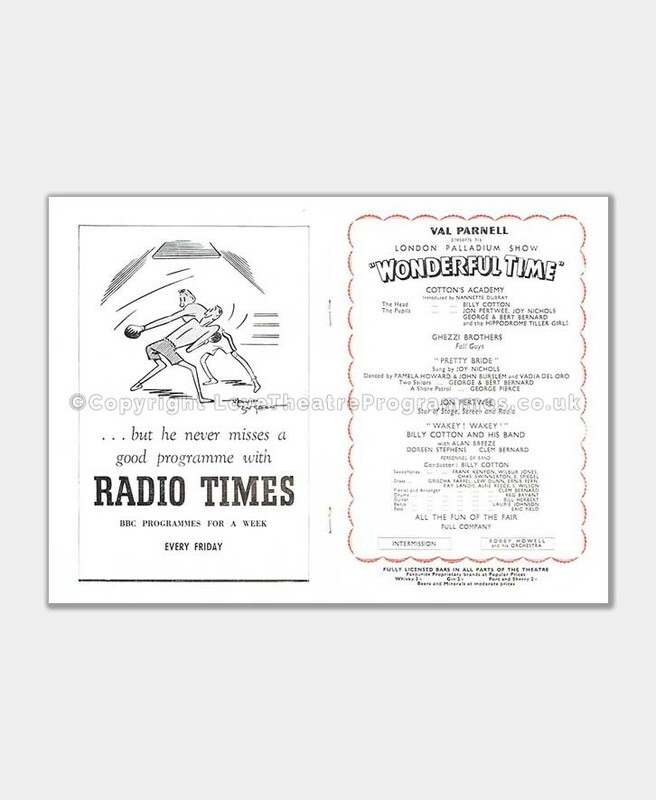 Billy Cotton was a band leader and entertainer born William Edward Cotton 1899-1969 and was at his peak of his career 1950-1960s as a successful radio and television personality. Joy Nichols was an extremely popular comedienne and actress; born Joy Eileen Nichols in Australia in 1925-1992. Over the span of her long career she worked across the United Kingdom, Australia and The United States of America. 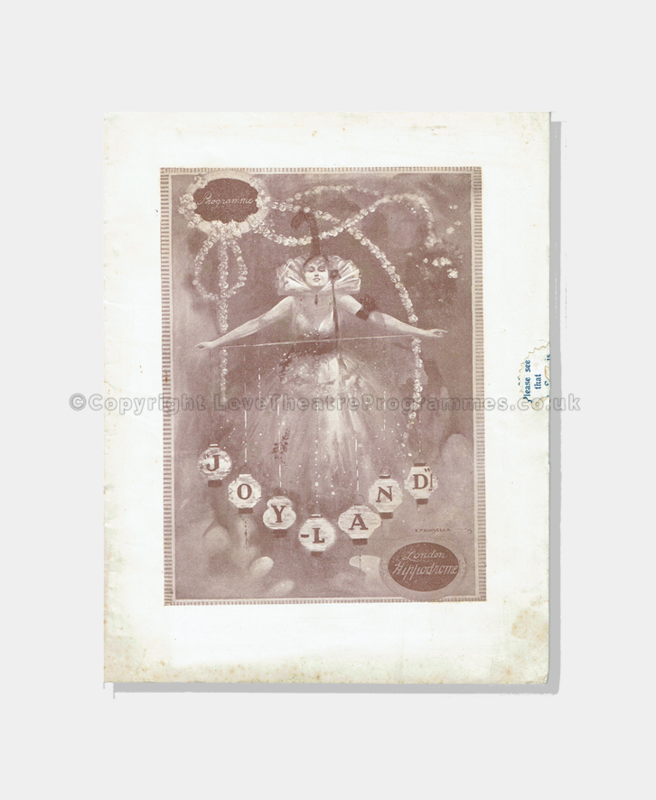 8 pages including front and back cover pages. Approx. H19cm x W13cm. 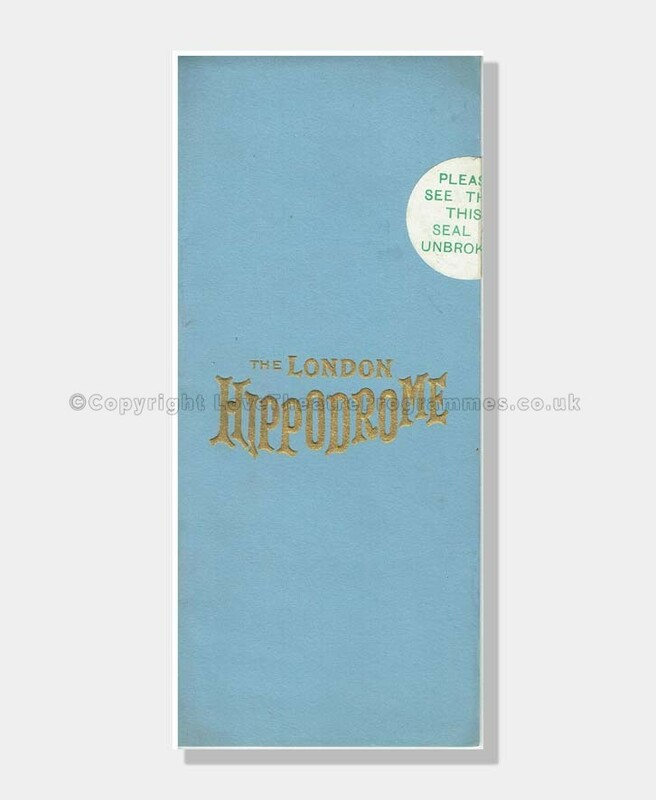 Condition Code: 4: Original staples remain and pages firmly secure. No tears. 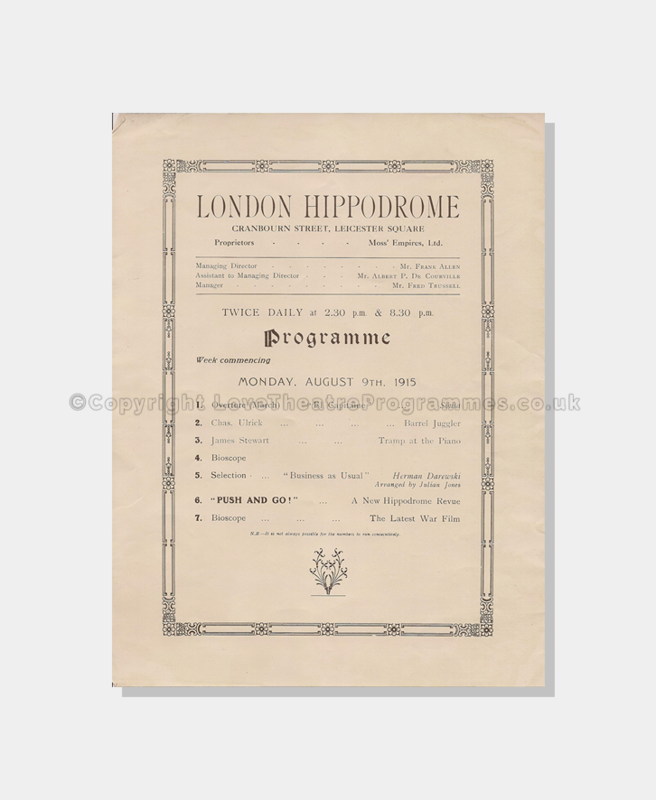 The programme has minimal evidence of foxing at the centre right of cover back page 8. 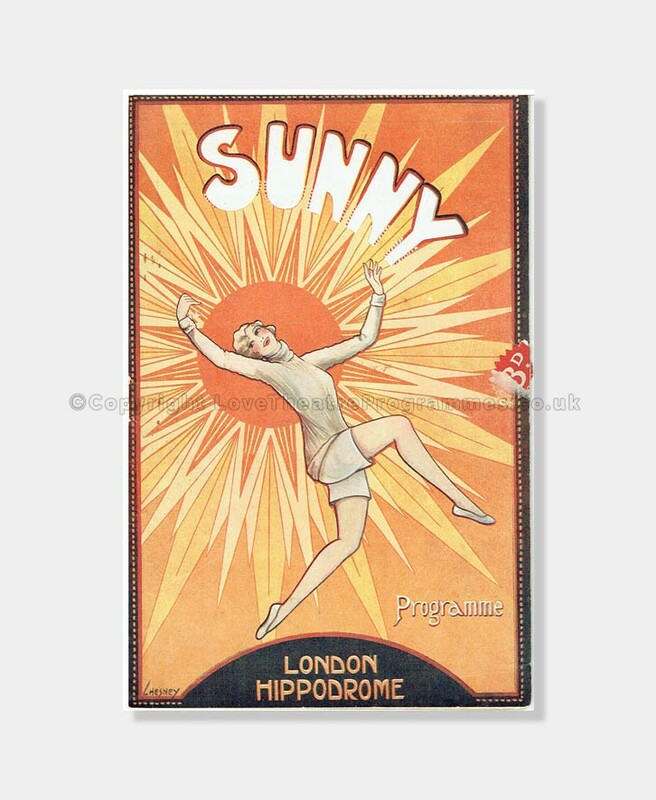 Overall the condition of the programme is very good for its age. 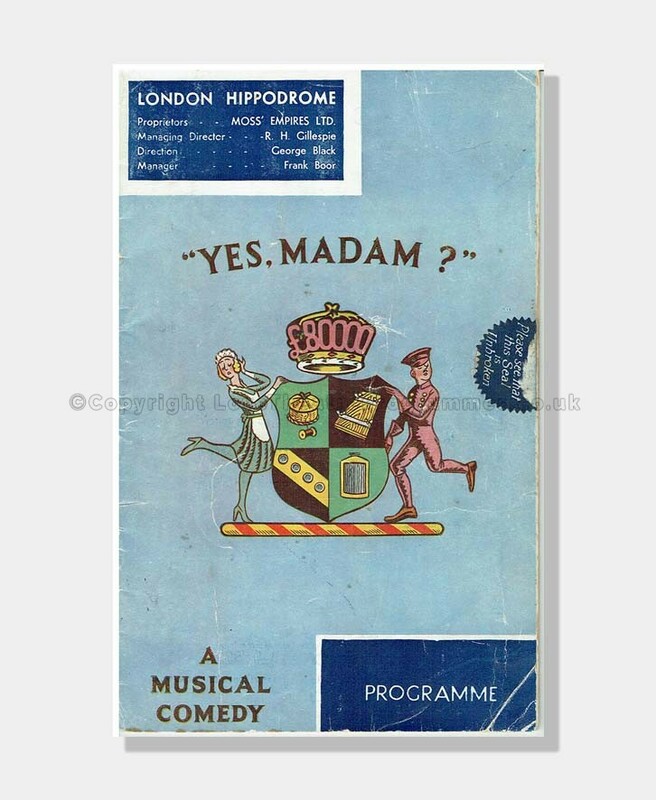 1934 – London Hippodrome – Yes Madam? 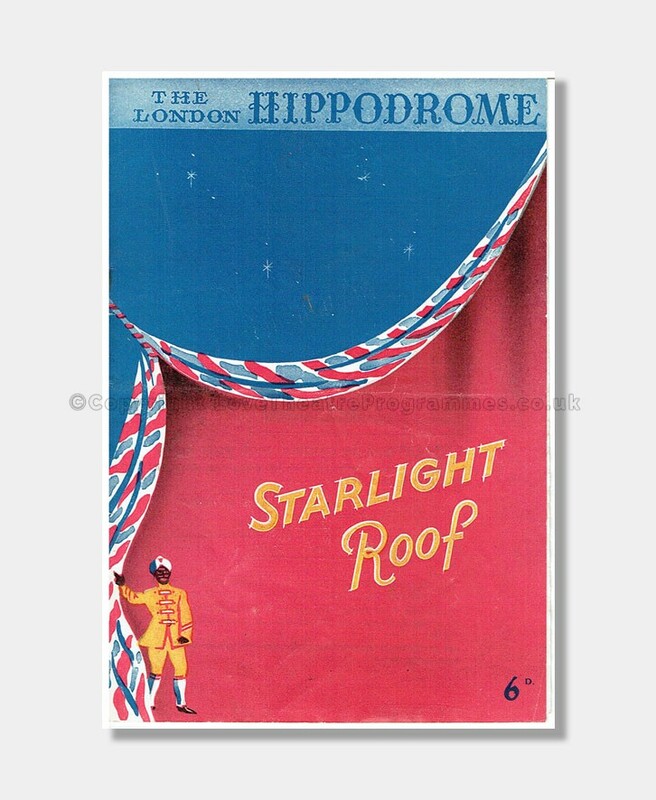 Main Actors: Harry Tate, Miss Shirley Kellogg. 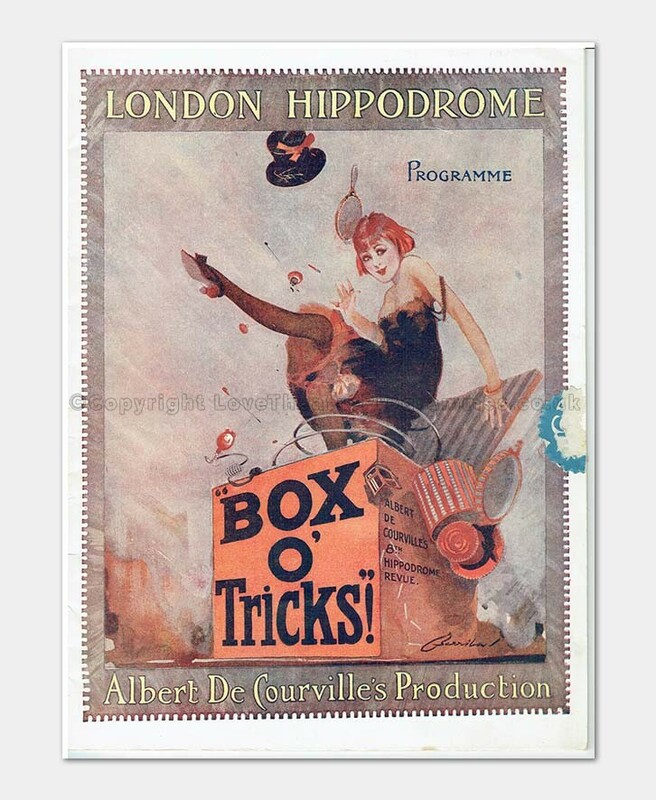 Main Performers: Mr. G. P. Huntley, Miss May de Souza, Miss Jean Aylwin, Gallignani.